Accent Mirrors There are 42 products. Lust for rust. 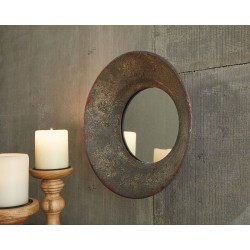 If you're all over distressed decor, you're sure to find this round accent mirror a beautifully reflects your fine taste. Simply striking, the round tapered metal frame looks all the better for the wear. 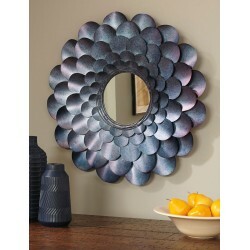 Reflect your artful eye for design with this elegant accent mirror. A modern twist on the classic quatrefoil, its shapely goldtone metal frame is wonderfully unique. Lust for rust. 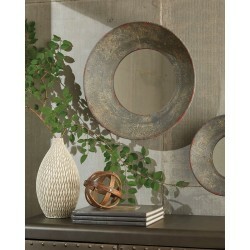 If you're all over distressed decor, you're sure to find this round accent mirror beautifully reflects your fine taste. Simply striking, the round tapered metal frame looks all the better for the wear. Not afraid to stand out from the crowd? Good. Wowing with an elaborately scrolled frame in brilliant blue, this outstanding accent mirror reflects your personal flair beautifully. With simple lines and a sleek finish, this accent mirror reflects the very best of contemporary design. 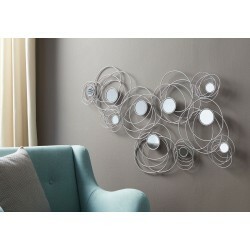 Minimalistic look is a fresh addition to a gallery wall or as a stand-alone accent. Talk about a cool turn on contemporary style. Wowing with its fancifully twisted metal frame that naturally goes with the flow, this unconventional accent mirror in luminous silvertone is more than a mirror, and more like a work of art. 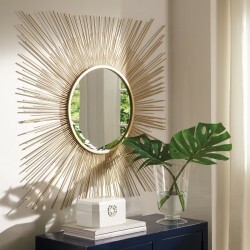 Delighting with an ultra-modern twist on the sunburst, this metal accent mirror is simply captivating. It's sure to round out your space with fashionable flair. 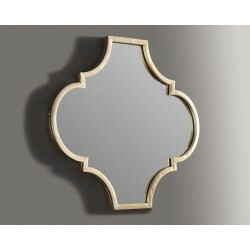 This accent mirror adds spiffy flair to your room. Goldtone metal forms geometric design with art deco vibe. 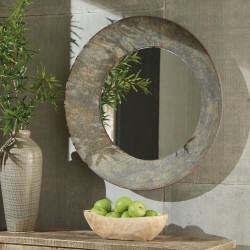 Octagonal center gives you a shapely focal point to view your reflection. Whether you're going for shabby chic, modern farmhouse or rustic cottage, this round accent mirror is sure to look right at home. Finished in antiqued white, its wood frame with medallion design is heavily distressed, making it look like a treasured flea market find. Petal to the metal. Wowing in a multifaceted blue that's completely unexpected, this accent mirror stands out from the crowd in such a beautiful way. Exquisite flower frame with layers of luminous metal petals is the perfect pick for bringing a touch of flirt and flair to an entry, mantel, bedroom or vanity space. 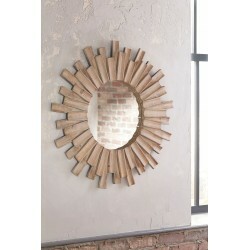 This accent mirror is a contemporary musing. Breathtaking sunburst design shines in goldtone metal. Beautifully large scale makes this piece the center of attention. This accent mirror hangs with timeless appeal. Grid design with black finished metal creates beautiful lines over the mirror. Natural wood frame adds heft and substance. Simply a mixed-media masterpiece. 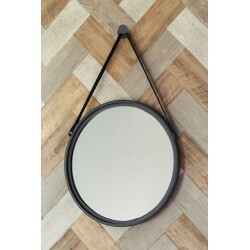 This accent mirror's genuine leather strap hangs from a metal post, making for one stunningly unique look.